With one in two Brits planning on splashing the cash this Valentine’s Day*, we’ve compiled our Mell’s Valentine’s Must Haves to ensure you and your loved one have an unforgettable day. 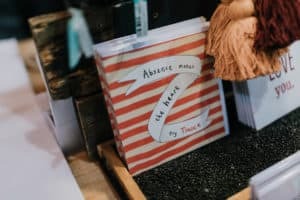 There’s no easier way of showing someone how much they mean to you than speaking from the heart and if one thing is for certain, there’s no shortage of choice when it comes to finding the perfect card. 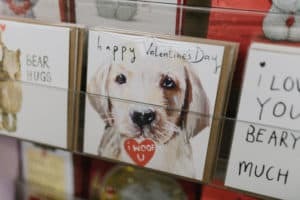 From high-street favourites Card Factory and Clintons in Mell Square, to independents like Liv’s on Mill Lane North, there’s sure to be a card for the important person in your life. 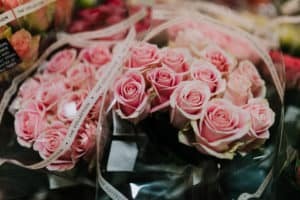 When you think of Valentine’s Day, roses may spring to mind but finding gorgeous bouquets doesn’t need to be expensive. Perfect as a standalone gift or as an additional present, Marks and Spencer in Poplar Way has a wide range of beautiful arrangements, including our Valentine’s must have. Let’s not forget the important part – chocolates. 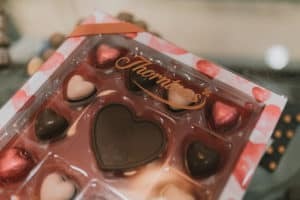 Thornton’s choice of luxury chocolates include heart-shaped boxes and plaques, as well as the option to personalise your chosen gift with an iced message. Discover how you can share the love in-store on Mill Lane South. 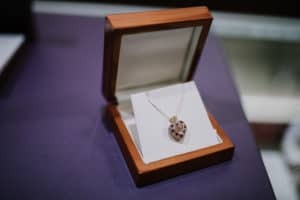 For a more personal gift, there’s plenty of choice to be found around the Square, including jewellery and clothing. 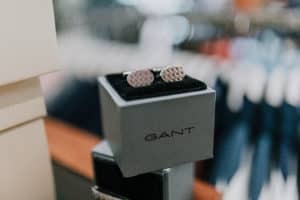 GANT in Drury Arcade is making shopping for the special man in your life easier than ever, with everything from knitted jumpers to smart cufflinks. Or, if you’re shopping for her, discover a little sparkle at F. Hinds and Liv’s, from fine chains to timeless classics, you’re sure to find just what you’re looking for. If the way to your loved one’s heart is through food, then the wide offering of eateries at Mell Square means your Valentine’s Day will go off with a bang. From Italian to Indian and even a spot of fine dining, there’s something for everyone’s taste. Why not wine and dine your loved ones at Carluccio’s with its exclusive Valentine’s menu, available between 13th-16th February, from £22.95 per person. Created with quality ingredients, the menu features a number of Carluccio’s signature dishes, including an antipasto sharing board, laden with Italian charcuterie, cheese, roasted vegetables, olives and freshly baked focaccia bread. Not forgetting the luxurious main of lobster tagliolini – half a lobster tail with tagliolini pasta in a tomato, chilli and white wine sauce – perfect for a special treat! Indian gastropub, Tap and Tandoor is sure to spice up your Valentine’s Day. Serving traditionally-flavoured Indian mixed grills, homestyle curries, craft beer and cocktails in a relaxed environment, there’s no better place for a chilled evening with your other half. For an evening of traditional Indian cuisines, head to The Delhi on Warwick Road. Having introduced a new menu, there are a plethora of dishes, suitable for all dietary requirements, waiting to be discovered. Alongside the nation’s favourite curries, the new dishes, inspired by trips to India, include a Goan Mutton Malaber – melt in the mouth mutton leg meat, red chilli, toasted coconut, dark curry paste, curry leaves and a smooth sauce. If this has your mouth-watering but you don’t fancy eating out? Order in and bring The Delhi to you. And for a spot of fine dining, look no further than Esabella’s on Warwick Road. Serving up delicious small plates from menus inspired by land, sea and garden alongside an extensive drinks menu, it’s the perfect place for a little indulgence. Planning a romantic night in? From dinner to dessert, Poplar Way has you covered. Whether you’re keeping it simple with readily prepared meals for two or cooking up a storm from scratch to surprise your other half, you’re sure to find everything you need. 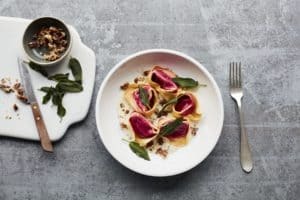 If you’re looking at doing some home cooking, there’s plenty of inspiration to be found at Sainsbury’s, including the gourmet microwave menu – a freshly prepared three-course menu cooked entirely in the microwave. Or, if you’re looking to keep cooking to a minimum, Marks and Spencer’s £20 meal deal is available in store from Tuesday 12th February. Offering savings of up to £20, enjoy a delicious starter, main, side, dessert, box of chocolates and bottle of fizz for two people. What are you waiting for? There’s no room for excuses! Keep up to date with the latest news and offers by searching Mell Square on Facebook, Instagram and Twitter. Banner Image: ‘I Love You’ lollipop, available from Clinton’s.